We didn't have breakfast at the hotel. However, we found a great place nearby. All is fine. Nice neighborhood, supermarket next to the hotel, walking distance or short bus ride to the city center. 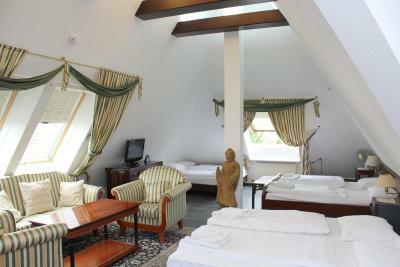 Room was large and comfortable, equipped with almost everything. Perfect choice for that price. Spacious rooms. Average shower. Friendly staff. Easy access to public transport. Next to supermarket. 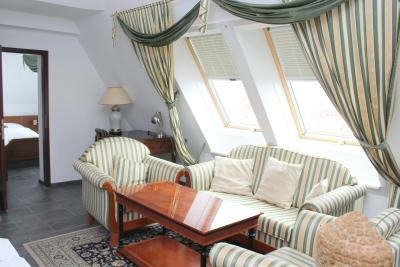 Rooms were huge, nice balcony, value for money best I found in 5 countries so far. Staff went the extra mile to help with a ticket and print directions for me. It was close to the fair grounds for Volksfest and the rooms were fairly large. They also had free parking on the street and could handily call us a cab. The room was big enough, beds comfortable, breakfast delicious. Front counter staff was exceptional. When I could find a car park, he managed to get me the last off street parking place. I had a two person room for one person, and the room was what I was looking for. The beds were nice and comfortable, the staff was polite and helpful, the private bathroom was specious and clean and it was in a quiet neighbourhood. I slept with the windows open on the ground floor (but I might be a bit reckless). Public transportation: a busstop is about 100 meters away from the hotel. Walk 5 minutes and you can use the subway. Central station is within a 15 minute walking distance. 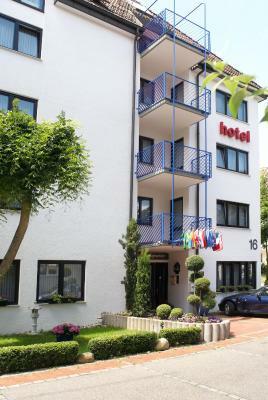 Hotel Astoria am Urachplatz This rating is a reflection of how the property compares to the industry standard when it comes to price, facilities and services available. It's based on a self-evaluation by the property. Use this rating to help choose your stay! One of our top picks in Stuttgart.A garden with terrace, free Wi-Fi, and classical-style rooms with satellite TV are offered by this nonsmoking hotel. Stuttgart Central Station is 0.9 mi away. Stuttgart-Ost is a great choice for travelers interested in sightseeing, convenient public transportation and culture. 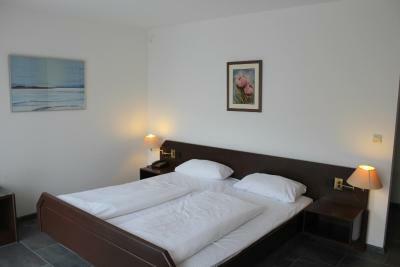 When would you like to stay at Hotel Astoria am Urachplatz? 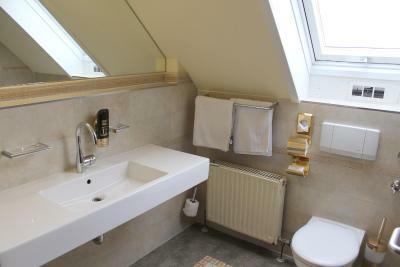 Homelike room with satellite TV, sitting area and private bathroom with hairdryer. 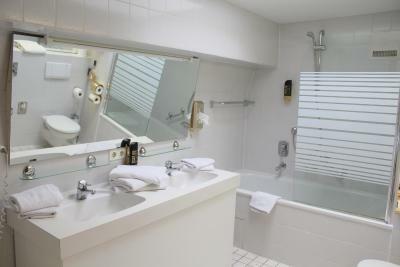 Homelike suite with satellite TV and private bathroom with hairdryer. Offers a separate sitting area, and the bathroom has a bathtub and shower. 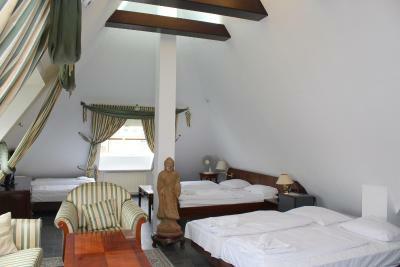 Homelike room with satellite TV, a sitting area and private bathroom with hairdryer. This homelike suite features a seating area with a satellite TV. In comes with a separate bedroom as well as a private bathroom. This apartment features a seating area, satellite TV and kitchen. Due the different locations of our properties in the center of Stuttgart and thanks to our loyal guests of the past 19 years, we have been able to establish ourselves as Stuttgart's largest, private hotel chain. 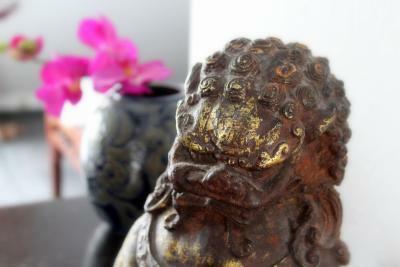 House Rules Hotel Astoria am Urachplatz takes special requests – add in the next step! Hotel Astoria am Urachplatz accepts these cards and reserves the right to temporarily hold an amount prior to arrival. Guests who plan to arrive after 8 pm should contact the hotel in advance in order to arrange the handover of the keys. All contact details can be found on the reservation confirmation. The room was quite big and close to a bus station that was only three station away from the main station so we only had to buy short tickets (kurz) to go down town. The staff at the hotel is rude and not helpful. It is mentioned that in the hotel parkings were available but they have only 5 for the hotel. There were cracks on the wall and the paint seems very old. Needed an extra pillow and we would have used tea facilities in the room if they were available. Good location when you take price into account. Only a few stops with the bus. Some parts of the shower are breaking apart, not much water pressure like often in older houses. Terrible. Booking.com do you even check the hotels and their offerings before putting this on your site . They put us in a so called appartment which was an attic in terrible shape. . Plumbing was not working , the bathroom flooded up as there was no outlet. No lift to this place( only half way ). The receptionist was rude as hell. No room to store luggage. No tea and coffee dispenser , apparatus which didn’t work. Booking dot com if you don’t respond to me on this complaint , I intend to stop using you as a service provider. My room didn't get turned over/ made up once during my three night stay which was very poor. I asked and told it would happen but I had to use the towels for three days and noone checked the toilet paper tissues etc. The quiet location, the room was bright and airy and clean. It suited my needs perfectly. Only a short bus or train ride to the centre and they were regular. Very nice room for the price. Comfortable bed! super value for the money! clean room, comfy bed and friendly staff.